KUALA LUMPUR, Malaysia, May 31, 2018 /CNW/ - PETRONAS is pleased to announce that its wholly-owned entity, the North Montney LNG Limited Partnership ("NMLLP"), has entered into a Purchase and Sales Agreement for an equity position in the LNG Canada project in Kitimat, British Columbia, Canada. 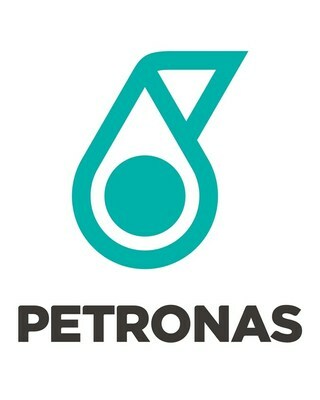 Upon the completion of the transaction, which is subject to international regulatory approvals and the completion of other associated agreements, the composition of ownership in the project will be PETRONAS (through NMLLP), (25%); Shell Canada Energy, a subsidiary of Royal Dutch Shell plc ("Shell"), (40%); PetroChina Canada Ltd. (15%); Diamond LNG Canada Ltd., a subsidiary of Mitsubishi Corporation, (15%); and Kogas Canada LNG Ltd. (5%). It is anticipated that the transaction will achieve completion in the next few months. "PETRONAS is pleased to be part of the LNG Canada project. As one of the world's largest LNG producers, PETRONAS looks forward to adding value to this venture through our long-term expertise and experience across the LNG value chain. We are committed to deliver LNG and natural gas, the cleanest fossil fuel in the world, to the growing global energy market," said PETRONAS President and Group Chief Executive Officer Tan Sri Wan Zulkiflee Wan Ariffin. "PETRONAS is in Canada for the long-term and we are exploring a number of business opportunities that will allow us to increase our production and accelerate the monetisation of our world-class resources in the North Montney. LNG is just one of those opportunities," he added. The proposed project includes the design, construction and operation of a gas liquefaction plant and facilities for the storage and export of liquefied natural gas (LNG), including marine facilities. The plant will initially consist of two world-scale LNG processing units referred to as "trains", with an option to expand the project in the future to four trains. Having an equity position in this project will enhance PETRONAS' business intent to develop its world-class natural gas resource in the North Montney, northeast British Columbia through its wholly-owned subsidiary, Progress Energy Canada Ltd.
Canada is PETRONAS' second largest resource holder after Malaysia, with vast unconventional gas and oil resources in the North Montney. PETRONAS and its North Montney joint venture partners are one of the largest natural gas resource owners in Canada with over 52 Tcf of reserves and contingent resources.